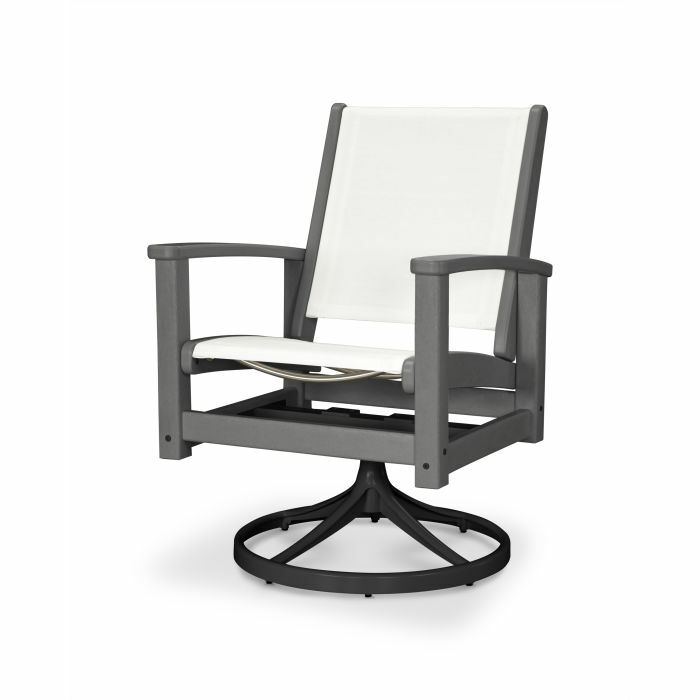 Enjoy optimal comfort in the Coastal Swivel Rocker with its curved armrests and breathable fabric sling seat. 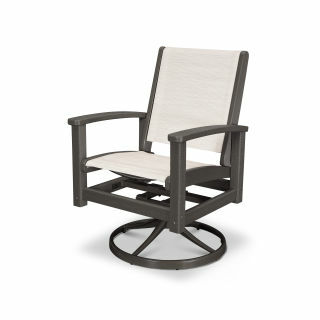 This all-weather Rocker features a solid frame and an aluminum base with 360-degree spin capabilities. 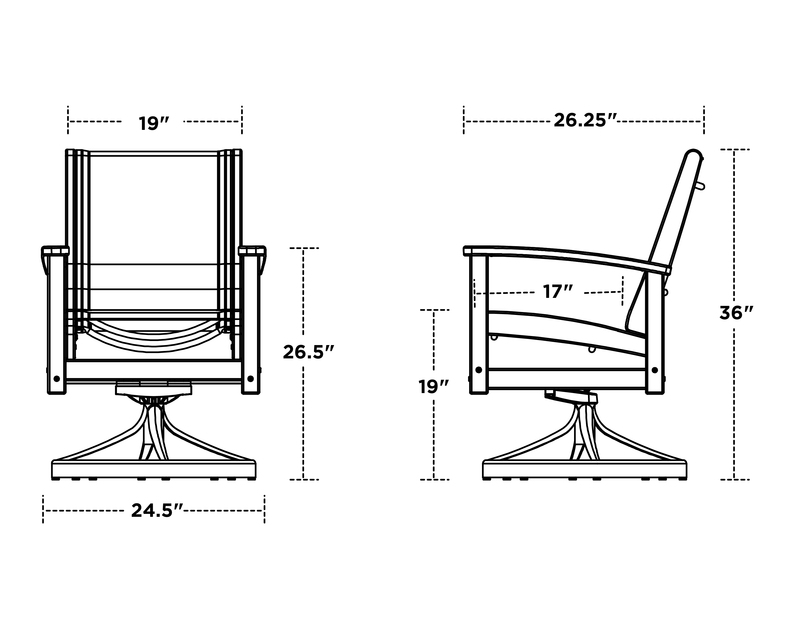 Constructed out of durable POLYWOOD® lumber, you are sure to enjoy this chair for years to come.